Alinea At Home: Some links, some love, and a little something for YOU! Some links, some love, and a little something for YOU! Oh, you guys... THANK YOU so much for the kind emails, Tweets, and messages of all kinds re: my crappy January and February. Things are starting to turn around and get better, so I'm thankful for that. I spent the past four days working on an Alinea dish I'm still writing about. Yes, you read that correctly: FOUR DAYS. It's a doozy. I'll let you figure out what that means. Chicago Tribune: "Making Chicago's Top Chef: Grant Achatz has reached the summit of the culinary world with Alinea. But what did it take to put him there?" New York Times: "The Perfect Menu. Now Change It." And, if I can self-pimp for a minute? Saveur magazine chose me as one of their "Site(s) We Love" and I'm so, so honored, because I love them right back. And, all of you for reading the words and the things and the stuff. Because I'm in a good mood, I wanna do a little giveaway. In the mood for an iTunes giftcard? Thought so. In the comments, tell me what you cooked this weekend. Or, what you ate. Did you have the day off Monday? Were you a lazy slug? Did you tackle your to-do list? Did you go out of town? So yeah... it's just me being nosy. Hit me up in the comments, and tell me how you are, what you're cooking and eating, or what you did or did not do this past weekend. Let's get caught up. There's no right or wrong answer, and I'll choose a winner at random. Excited to see what you do with those! oh man. I love that your nosiness corresponds with the large amount of good, new(ish) music worth buying. and that Saveur figured out what's up. I was in San Francisco for a work conference from Wednesday night to Saturday mid-day and it was, strangely enough, where and when I got my cooking groove back. we've been getting food deliveries from friends (which is so great) while Jill goes through chemo, and while that's convenient, I do miss cooking. my colleagues & I rented a condo (way cheaper than a hotel) and I was designated cook--we bought groceries at the Ferry Building Market & Trader Joe's and I got to make two dinners (pasta one night, pizza the next, plenty of wine at both) and one big brunch before we left. SO MUCH JOY making food for people I care about, no rushed timeline, good conversation/planning. PS--I would like to officially vote for more dog pictures. 'cause he's real cute. Nice productive weekend... cleaning and working on a sewing project. Also, I've had a thing for roasted cauliflower recently, especially Romanesco (the green fractal one) since it just came into season.... my fantastic dinner last night was a huge plate of cauliflower and a small bowl of gnocchi with homemade alfredo sauce. Saturday was a shepards (actually cottage) pie. Beef, leeks, mushrooms and carrots under mashed potatoes. After watching an Irish place on Ramsey's Fox show trying to pass off beef in one on Friday, the hubby and I both got it on the brain. Sunday was birthday day, so it was Chinese food for lunch with the extended family, then I picked up tacos from a local taqueria for dinner. Being my first take-out Chinese food since learning I was allergic to wheat I must say I was scared, and more so when I was told the kitchen was rushed on finishing our order and I also noticed none of my "no soy sauce, hot bean paste, yadda yadda" notes that I told them when I called on the actual order. I have been reading that the true fermention process of soy sauce removes the protiens that most people have issues with... and from my experience, it actually may do that. Not one issue - cross-contamination wise or even if they did use it in my order (maybe I didn't have to clear out half the condiments in my fridge that were Chinese sauces...). Today was a day off... the rare chance to cook actual food for lunch rather than reheating in the work microwave (broiled salmon and pineapple over rice) and dinner was turkey swedish meatballs over mashed potatoes. It's cold. I'm all about the mashed potatoes. vegetable fritters, homemade pizza, potstickers, two different coleslaws and chana masala. I am all over the map, and love it. I also ate some korean barbeque, had the most amazing cocktails at The Drawing Room, and vietnamese at Le Colonial. 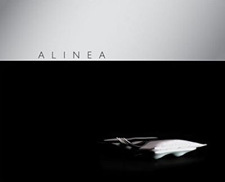 I live in Chicago, but live through Alinea through you! Thanks for all the great writing and experimentation - you do an amazing job! Congrats on Saveur! You totally deserve it, you probably have the most interesting food blog out there. This weekend I didn't cook much as I was trying to get through tons of leftovers from the week before. We had clam chowder and a peanut noodle dish and some kind of beef stew I made up and leftover bratwurst. We finally killed the last of it tonight! I cooked the bacon 'til it was crispy, tore it up into bits and whipped together pralines using a simple recipe from seriouseats.com (http://www.seriouseats.com/recipes/2009/12/pecan-pralines-recipe.html). I subbed rendered bacon fat for the butter, obvi, and they are pretty amazing! My roommate and I made some carmel apples like the apple, horseradish, celery juice dish at Alinea. College version though. Naked apple juice on the inside, caramel shell exterior. Pretty tasty! Also, mushroom pizza with garlic chili oil. All vegetarian menu because my Mom and Sister visiting: tomatillo sauced enchiladas, black beans, guac; then green Ginger soup. No holiday for me but voting for Rahmbo tomorrow so celebratory RIS from the cellar is on the menu after work! I had the day off today, which is normal for me on Mondays, but my partner was off as well so I made us buttermilk waffles for breakfast. I usually don't bother to make waffles (especially the kind where you beat the egg whites separately) very often, so it felt pretty special. And tonight, we made a fantastic tomato and farro casserole that I am munching on at the moment. So it's been a good food day for me, for sure! I played hooky from classes with my boy today and we let a vegetarian chili stew all day--TVP crumbles, tons of veggies, a jalapeno and sriracha and red kidney and garbanzo beans. congrats on the love from saveur! v exciting! you deserve it. I went to Ikea, overdosed on Wacky Swedish Food and got storage bins! I normally have a "I don't eat meat I don't know where it comes from" rule, but I'll break it for Ikea meatballs. I swear, they put crack in them, they're so good. My wife and I had the day off so we made gluten-free dinner rolls from The Art of Gluten-free Baking (http://www.artofglutenfreebaking.com/2009/11/dinner-rolls-gluten-free-revised-22810/). They came out amazing so we had a few with dinner and I left the rest in a covered bowl on our dining table. Apparently, our 7-month-old chocolate lab also enjoys GF baking, because he helped himself to the rest when we weren't paying attention. I walked in just in time to rescue the last roll, although it was too soggy to do anything with but throw it in the trash. The bright side is that gluten-free bread is rarely ever good left-over so this gives us an excuse to make a fresh batch. After many inches had finally melted, this weekend decided to torture Minneapolis by snowing a lot, again. So I was in a cozy mood, making pastas. I made Lemon Fettuccine Alfredo one night and then another night I made Orecchiette with Ricotta, Fava, Peas, and Pecorino. I spent all weekend holed up because I am so behind on schoolwork. Then I had my first snow day (ever!) today, so that was a big relief...and yet, my paper is still not done and I am posting here. Glad your days are looking up, hoping mine will soon as well! We took a little break and went to a cabin on a bay with a view of the Olympic Mountains. No fancy cooking this weekend - crabcakes (Dungeness crabs, of course) one night and chili the next. When we got home, had Cajun prawns to warm up! This weekend I made some chili (http://allrecipes.com/Recipe/Boilermaker-Tailgate-Chili/Detail.aspx) and cornbread. I'm not a huge chili fan but my husband loved it. My friend also gave me my first batch of sourdough starter, which I'm excited to use soon! I had mac and cheese and bagels. Normally I would not even post these items online however, I think we are living the same February! So that is why I had both macaroni and cheese and a bagel neither of which I am supposed to eat due to my "gluten processing issues" and you know what. Immediately I felt better and I cried; for everything going on and for the fact that I wasn't supposed to be eating the one item that was giving me comfort so thats how I ended up at the macaroni after the bagel. All in all, my stomach hurt the next day; but in some perverse way it made things ok because all of the hurt in my heart had somewhere physical to go and fester. So even though I "know better" the bad mac and cheese ended up being the good solution. Not for my stomach but for my heart. This weekend I tackled a giant fresh ham hock from my CSA. After endless searches for recipes online, sorting out those for smoked hocks rather than fresh, i settled on making Bavarian schweinshaxe, aka roasted ham hock. I boiled the hock (over 3lbs!) in beer and aromatics, cooled it in the stock, en roasted it to get the skin crispy. Delicious! did you borrow grant's duck press? i spent the weekend prepping stuff i am going to cook from michael schwartz' book for a review of it i'm doing. The last weekend of school vacation, so before returning to my day job, I whipped up lots of simple indulgences. Homemade mayo with my hen's eggs for a sublime tuna sandwich on baguette with some of Keller's Ad Hoc pickled red onion on top. Poached eggs for my younger son with a dab of said mayo and touch of adobo on leftover crusty bread. Venison tacos. Lots of chili with the rest of the venison and the last of my dried Old Mother Stallard beans from the garden to last us through the week's lunches. Pizza with some Sunrise Farm bacon and carmelized shallots from the root cellar. Skiing in Central Oregon with my boyfriend. First time there & it's his favorite place on earth, so great to see him that happy. I was a lazy slug-- except for riding herd on three puppies and cleaning up enough puppy poopies to fill a waste paper basket. Thank heaven they are all Chihuahuas! Well, one Chihuahua, one Chipughua and one Chiweenie. But, sweet Jebus, are they wonderful little bedmates. It's kind of like having a full length, form-fitting hot water bottle that never gets cold. As for what I ate, there was a roast chicken sandwich on Saturday that was very good. On Sunday I persuaded my son to make his fantastic meatloaf. I had a sandwich made with some of the leftover meatloaf for dinner tonight. It had mayo, catsup and horseradish on it and it was divine. Spaghetti with marinara sauce (with fennel seeds, red pepper flakes, tarragon, basil, onion, garlic, white wine deglaze). Yeah, probably should have used red instead, but the white needed to be used. Mixed greens salad with horseradish vinaigrette. Pink grapefruit & Campari sorbet, Aperol macerated strawberries, and vanilla candied citrus peel. Of course, the stupid dishwasher decided to break, so I had to wash pretty much everything by hand. Ugh. I helped my girlfriend learn how to make mushroom paprikás, it was delicious! Finger food i prepared for a late night dance party included walnut and lentil pate that tasted like chopped chicken liver (lots of caramelized onions! ), hummus with preserved lemons and toasted sesame seeds (smooth as silk in the Vita Mix) and peanut sauce for herb-laden Vietnamese salad rolls. Much enjoyed by all! This was a strange weekend for me and food. My husband and I are taking a class together that runs all day saturday and sunday, so we didn't have our usual leisurely weekend meals, and my mom was in town sunday and monday. We ate costco take n' bake pizza on friday (with leftovers for breakfast) more leftovers for dinner saturday, went out for dinner sunday, and then went out for breakfast AND lunch on monday. We usually eat out/get takeout about once a week, max. And then for a complete turnaround I had monday afternoon free and made chicken curry (double batch to both eat and freeze) and a batch of italian meatballs for the freezer. I sprained my ankle on Thursday and live in a 3rd floor walkup so there was A LOT of ordering in this weekend. I had vietnamese sandwiches and udon soup and even some falafel and antipasto! We made pizzas while we waited for our friends driving in from Maine to arrive. Once they did we played with their 4 month old until everybody was ready for sleep. It was a pretty perfect Sunday night. I hope March is a better month for you, Carol! On Saturday, I made Sweet and Sour Pot Roast in Tomato Sauce http://bit.ly/ej4UZj (it's gluten-free, Carol!). On Sunday, we went out for a belated Valentine's dinner at Harvest on Hudson. http://bit.ly/fMjKtB Monday, I had the day off, and I made French Onion Soup a la Alton Brown http://bit.ly/hF5sct , but I used J. Kenji Lopez-Alt's method for caramelizing the onions http://bit.ly/g8gP4a (which didn't work all that well for me; they dissolved into paste). Cuban Pork Hash, recipe from Saveur's weekly email. Absolutely delicious!! A bunch of friends holed up in a cabin in West Virginia for the long weekend. One night we made a cheese fondue with meats and veggies to dip. The next, roasted chicken and roast pork loin with salad. Along the way - samoa stuffed peanut butter cookies, an embarrassing number of frozen pizza rolls, and 4lbs of bacon. I've been sick & had mostly crackers and Vernors ginger ale all weekend. Started to feel semi-human yesterday, so my sweet 17-year-old son made tomato soup and grilled cheese sandwiches (a bit charred on the outside, but whatev) for lunch. Knowing how lazy he is, I truly felt the love from that meal. I didn't have Monday off but we did cook something fun - we reproduced the burger from Kumas Corner with the bourbon poached pears and brie on it! It was so yummy - glad it didn't take me four days though to make it. Hi! Congrat's on the Saveur post! This weekend is Restaurant Week in Chicago. I did not cook a thing, but went out to three restaurants so far; one more left! Actually had Monday off, favorite meal was a roast chicken with new potatoes, simple and perfect, baked a banana cake with a chocolate chip crumb topping. My wife and I made our first trip to Minibar this past weekend. I made lentil soup and baked feta. Yum. I went to my parent's house this weekend to work on wedding stuff. My Dad made cube steak and a deep dish apple pie. That was by far the best meal I've had in a long time. The rest of the weekend's eats were sandwiches and oatmeal, so nothing exciting there. Yesterday I got creative (for me) and made buffalo bbq chicken tenders with veggies. It was very good! This weekend was totally lazy/bumming off others as far as food goes. My husband's brother and wife were in town with their little kids, so we ate my mother in law's great cooking, ordered pizza and thai, hung out, drank wine and watched the littles get to know each other. I did make a DIY art cable to hang my kids' artwork in their room that turned out fantastic. Broccoli cheddar soup this weekend. About three pounds of broccoli, stems peeled; a couple carrots, some celery, an onion and a half, a mess o' garlic, all sauteed for a bit in a dutch oven, then steamed for maybe 40 minutes until really, really mushy... Threw in chicken broth, water, and some spinach (to restore that lost broccoli color), blended the crap out of it and added some grated sharp cheddar. Terrifically good. And probably healthy to boot. Sunday night was couscous topped with some sauteed cabbage, peas, and tomato sauce, a sausage on the side. Nice and easy, delicious. Last night was roast chicken with root veggies, a weekly staple in my house. This weekend I made this incredibly delicious green bean, pickled onion and fried almond salad from one of my other favorite food blogs, Smitten Kitchen. And, because I'm five months pregnant and in the throes of fickle cravings, a butterscotch sundae for dessert (and, um, breakfast too!). Went to the Health and Well Being Convention is Austin, to pick up my race packet for the Austin Half Marathon on Saturday. Since I was going to be in downtown, decided to stroll around Whole Foods. Can't resist a breakfast taco while I'm there. Since I had some time to kill, I decided to traipse down to Flip Happy Crepes and got a nutella/banana crepe. Then headed down to the Palmer Center to pick up my awesome swag for the race. I got a SPI belt and a nice messenger bag, as well as tons of free samples of nutrition bars, yogurt, and sports drinks. Always some great sales at these conventions, so, at my sisters request, I picked up two pairs of Reef flip flops for $10 each, no tax! Huzzah!! Anyway, proceeded on my crazy Saturday supermarket routine. Target, Sprouts, Costco, and Central Market (greatest supermarket ever). Picked up my usual Fage yogurt, huge basket of blueberries, and some nuts and herbs. I plan on making shades of green salad (Food 52 recipe) and some chicken breasts stuffed with spinach and feta this week. By this time, I've run all around Austin, and it's time for my Fire 90 class at Sunstone Yoga. Was difficult to convince myself to go, but I always end up going. Decent class, but I'm glad it's done with. Quick shower, laundry, and finishing up watching The Bourne Identity. Turn in early at 10 AM, because of my race the next morning. Wake up at 4:30 AM. Scarf down 10-grain toast with almond butter (Yum! One of my anytime foods). Make my way downtown to get a good, free parking spot. The Capitol building is beautiful at night. It's just so perfectly lit. 7 AM, race starts, some stalling before all 20k of us get through the start. Forgot how much fun these races are. All sorts of Austinites are cheering along the course. Finish the half marathon in a little over 2 hours, and I'm feeling good about myself. Have a quiet brunch of a grilled veggie sandwich from Counter Cafe and get myself home. It's been a good day. Clean myself up some and head to the University of Texas campus. Will go to watch a play called the Black Watch, a production put on by the National Theatre of Scotland, about a regiment stationed in Iraq. Before the play, I have some time to kill, so I stop by my office for a little, and then the Fine Arts Library. Read an article in Billboard Magazine about Adele, she is gorgeous. So is her voice. Finally, head to the play. It's a special set up. The audience sits on stage, in close proximity to the actors. Loud noises, haven't heard so much profanity in my life. The best play I've seen, probably in my life. Finally, head to La Tazza Fresca for some good studying. Decaf coffee and finish writing up a paper review. Hit the sack early because I'm exhausted. Best weekend in a long time, and glad to share it with you. I roasted a chicken for Sunday dinner. On Saturday, I cut pork chops from an oversize pork loin and sauteed them. Delicious. Also, I second whoever said more dog pictures. More dog pictures! Lovely lazy weekend. We had roasted chicken on Saturday with caramelized onion bread pudding - a riff on Chef Keller's leek pudding 'cept I only had one leek. Sunday was leftovers for dinner but I made SmittenKitchen meatballs for the freezer and a pound cake that was not good at all. I know, it's hard to believe! Last night was pumpkin pancakes and today I'm working on a veggie lasagna from Saveur. This weekend I helped my mom get ready to move across the country, which was really sad, but on Sunday night we had friends over to help us design our wedding programs and table numbers, which was happy. I cooked them a big batch of Cook's Illustrated arugula and pesto lasagna and a warm butternut squash salad with chickpeas, red onion, cilantro and tahini-lemon dressing. My mom and I ate a lot of poached eggs on toast. I made some super hamburgers, using meat from Pat LaFrieda (he supplies the beef to all of April Bloomfield's restaurants). Cooked medium-rare, topped with fennel and red onion and melted gouda, on a brioche bun. Yum! Also had a super dinner at a little place in Bushwick, Brooklyn, called Roberta's. A pizza with speck, radishes, and delicious cheese, and sweetbreads with honey and taleggio. Beyond delicious. As coincidence would have it, I had dinner at a Certain Restaurant this past weekend. So of course the rest of the weekend was ramen, pizza, and diner food. We were pretty lazy and ate out too much this weekend, but I had yesterday off, and made a delicious cioppino (gluten free!) with halibut, shrimp and mussels! was delicious. Well, it's been a busy food weekend. In DC, visiting my little brother. Ate dinner at the bar at Rasika, drank many fine cocktails. First thing I did when I got into town was to put a batch of carrots into brine. Started a batch of curtido yesterday. Have made several loaves of bread which my little bro and his girlfriend have devoured without hesitation or compunction. It's been a good time so far. I rather like this town. My friends and I had a dumpling making party. We made a filling with ground pork, shrimp, water chestnuts, cilantro, and green onion, then gathered around the table and laughed at our dumpling folding abilities. At the end we split the results and tried some fried and boiled. Delicious! I had dinner at my brother's (fabulous) restaurant, Allegro, in Bennington, VT, where I had the short ribs with horseradish polenta and a side of braised kale and split the all-local cheese plate with my mom. Then I came back to New York and went out for Greek food in Astoria with one of my best friends from high school, after which I got horrible food poisoning and didn't eat much besides crackers and apples and a kind of slurry of orzo cooked in chicken broth for the rest of the weekend. Also made homemade soy milk, homemade ginger ale syrup, and Yorkshire pudding. I made Cold Brew Coffee Sorbet. My wife made a cranberry caramel tart. Our friends who hosted the dinner party made grill cheese and tomato soup cocktail, with smoked salt rimmed glass. Pheasant and mushroom pasta, and venison wellington. All of course hunted by them. A very nyc dinner party! Was my mother's birthday so my wife and I made some of her favorites. Caprese salad and homemade pasta with pacetta, parsnips and rosemary. Devils Food cupcakes with Italian Meringue frosting. I got out of town and went to Vancouver, B.C. for the weekend, where my husband and I spent our Sat. night getting mistaken for natives while watching the Canucks game at our favorite pub there, the Greedy Pig; and then spent Sunday afternoon at the Granville Public Market where we bought supplies for dinner at my family's condo: phyllo-wrapped salmon, yam and chestnut triangolini tossed with a balsamic port butter, and a salad made with butter lettuce, endive, and Sonya apples. Hope you had a relaxing weekend and thanks for the giveaway! I did a lot of baking. I made the no-knead bread, blueberry scones, and I made smitten kitchen's blood orange olive oil cake. It was a partly rainy weekend, so it was the perfect time to bake. Quite a foodie weekend! Fantastic Friday night dinner at Michael Symon's restaurant Lola followed by some homemade pasta aglio'glio at home...capped off with the perfect birthday gift - an immersion circulator! I'm going to be cooking up some trouble tonight! Let's see: Saturday was tomato soup with a leftover soubise base, vino verde and harissa and grilled cheese sandwiches. Sunday was sweet potato hash with edamame and bell pepper, bacon and eggs and more harissa, and Monday was bucatini with uber-garlicky tomato sauce, mushrooms and spinach and, yup, still more harissa (see a trend here? It's *%&^ing cold and snowy and I need bright red spicy condiments to stave off a bleakness that is best described in certain gloomy passages of Wuthering Heights). Sunday I made a roasted garlic soup with chorizo. I had yesterday off (thank goodness), but still did simple cooking: polenta squares with chard and chicken sausage. Simple, warm food for this cold, cold winter! Made a "sneaky" lasagna for the family on Sunday. Since my 6yo and 3yo don't eat enough vegetables (and protein to be honest), I made a recipe that incorporates zucchini, cauliflower, and tofu. I wonder if they knew why I was smiling when I watched them eat everything up. Gf was sick and I worked all weekend so food had to be quick and neutral. Made a ginger syrup for her so she could have homemade ginger ale. Congee with shiitake mushrooms and chicken. Took a quick break and visited the art museum on Sunday, and ate some drab forgettable soups there. I do wish museums served better food. Later, when she felt better, she wanted curry---so I made a quick eggplant curry and taught her how to use a rice cooker. Poor girl. Grew up in the midwest eating canned chicken noodle soup when she was sick (don't think her mom is much of a cook.) I did buy her a can of Campbells as she requested, but she took two spoonfuls and couldn't bring herself to eat anymore. My influence, yay! I cooked for my new boyfriend for the first time this weekend. I made saltimbocca, which is hard to screw up and hard to dislike, but cooking for someone new you like feels so revealing. We had Friendgiving on Saturday! Friendgiving is an annual Thanksgiving dinner we throw in February. Super fun but now we have a ton of turkey left. Can't wait to see what you do with the birds! I also made braised white beans, but that's because I'm addicted and make braised white beans about twice a week now. And I made a baked egg in ricotta, but we shall not speak of that as it did not end well. We shared the beef short rib sandwich and a grilled cheese. The short rib is served on a soft pretzel roll and topped with watercress, pickled red onions and potato sticks. It is the perfect sandwich – moist, falling apart meat, the tang of the onion and the crunch of the potato sticks – incredible. There is also a horseradish sauce but that isn’t my thing so we had it on the side. The grilled cheese is also wonderful – Wisconsin cheddar and prosciutto topped with cheese curds and tomato marmalade – I should have stopped but I ate my entire half. Don't get me started on the parmesan, black pepper, chive and truffle popcorn or the Greek yogurt soft serve with pomegranate seeds, roasted chestnuts and shards of dark chocolate. I was developing a bacon cake recipe and a buttercream to go with it. The winner was a yellow cake with thick cut bacon crumbled in the batter and a maple, brown sugar, cayenne buttercream. Great combo of salty and sweet. Then to try to counter balance all that fatty goodness I made an acorn squash apple soup. Instead of working like I should have, I attemped to replicate Momofuku's crack pie. Texturally, it was not a complte success, but taste-wise, it was crazy good. Made nachos for the boys watching the All Star Game! Yum! Ugh, I worked :( but got to come home to some chicken adobo in the crockpot. Not too shabby. I ate at the Girl and the Goat and it was awesome. Hmm, what did I do this weekend? Well, Saturday I went a little insane at a chinese grocery and bought a few pounds of duck feet without any clear plan as to what I was going to do with them. They became a lot of soup stock, a pseudo-pho kind of broth that will be coming to work with me for lunch for the next several weeks. I made a lot of stock. Sunday I watched a bunch of old Mystery Science Theater episodes, slow-cooked some chili, and spent the day in the studio tweaking a client's majestic metal album into some sort of CD-ready form. I had monday off. So I spent more time in the studio on my own projects, then went down to our state capitol building, where as you may have heard, some stuff is happening. So I marched around the Wisconsin State Capitol a few times carrying a picket sign, stood in the rotunda and chanted with a few thousand of my closest friends, got very angry at our governor, had some tea, then went home. I made some lovely steamed fish and greens with my roommate from singapore and a boston cream pie for my honey. My husband and I took a day trip to the Anderson Valley for some wine tasting at Goldeneye, Navarro, and Roederer Estate Wineries. A great day with a gourmet packed picnic lunch and Thai food for dinner. Sunday was a wonderful dinner of a blood orange, green olive, arugula salad, porcini mushroom risotto, brownies and an excellent bottle of champagne. All at home with a wonderful fire in the fireplace. Take that recent NYT article regarding how some people are turned off by a real fire! Monday was a great day of pho at my favorite pho place and homemade pot stickers and bok choy for dinner with a lovely bottle of wine from Navarro Winery. Oh yeah, the to do list...we were so busy with the food and drink. This was an awesome week for staying at home and cooking! It was chilly weather(for northern California wimps) so I didn't want to go out too much and craved comfort food. I've recently mastered this amazing recipe that the boyfriend and I call "eggs risotto". It's eggs cooked over low heat in butter with cream added in increments until it gently curds and becomes the softest eggs in the world. I seasoned them with some sea salt and green pepper and a final dose of cream at the end. Then...THEN! I drizzle them with melted butter and chives & serve them open face on a hearty peasant bread. We had an apple salad and a good mug of coffee each to round it out. Took 9 boys and 4 adults camping in the snow south of Lake Tahoe. Fed them chili dogs and put them to sleep in tents. It hit minus 3 degrees overnight. Got them going in the morning with oatmeal and hot cocoa and off on a snowshoe hike through 3 feet of fresh powder. Wore everyone out. I was a total lazy git! It was fantastic... I did make a GIANT pot of mashed potatoes. No health benefits to these suckers - but man, do they taste good. Now, back to work (boo), but I have a tupperware of mashed potatoes waiting for me at lunchtime. I'm glad to hear things are going better for you... Chin up, Carol. I'd been craving chicken korma so I made some with boneless chicken thighs. While that was cooking I felt the need for a vegetable, but didn't feel like making another dish, so I added spinach and some canned tomatoes into the korma. It came out really yummy! Its also one of those sihes that gets better with age, so I've been enjoying the leftovers for a few days. This weekend I actually got to cook TWICE in one day and made (among other things) some venison & porcini ragú. My dad gifted me a large quantity of one-lb packages of ground venison, which I'm slowly working my way through, but he also gave me some tenderloin... tempted to make the venison in savory granola if I somehow find myself with an entire free day on my hands anytime soon. Friday: Had the neighbors for our standing "Pizza" night. Made pizza dough and sauce from scratch. Saturday: Made two trays of TFL tomato confit and tomato powder. Will be making TFL "Hercort Verts with Tomato Tartar and Chive Oil" next week. Such a fantastic dish. For dinner I made Kung Pao Chicken. I just started a CSA last week, and then Whole Foods had a sale on organic chicken, so first I made penne carbonara with chard from the CSA, then yesterday, the +1 roasted a small chicken with tiny fingerling potatoes, fennel, and onion. He made wonderful stuffing from a stale baguette, and I ate an entire tray of it! I was craving some serious Filipino food that I hadn't learned to make yet, so I ended up at the (not very) local Goldilocks for some Kare-Kare (a ground peanut stew with oxtails, tripe and bok choy) over some fresh steamed rice. And of course, I couldn't leave without a few goodies, so I came home with polveron and some pastillas. My go-to chicken teriyaki, courtesy of Nigella Lawson. Nothing fancy, but oh so good and easy! I gorged at Disneyland on Saturday: BBQ pork ribs; beer; wine; cookie dough ice cream in a waffle cone, and hot apple cider. We classed it up with dinner at Napa Rose in the Grand Californian Hotel. I had Portobello Mushroom Raviolis with roasted fennel and Tuscan kale in a truffle mushroom sauce. We split a bottle of '07 Black Pearl "Oro" Shiraz-Cabernet Sauvignon from Paarl, South Africa, which I have Every. Single. Time. I go to Napa Rose. LAHVE it. I ate bacon. Lots and lots of bacon. I can't remember what I did this weekend because it's tax season and two days of crazy time at work have passed since then! But I think I remember eating spaghetti squash pomodoro, which I also remember being delicious. Saturday - made some tasty lentil soup with the usual veg medley and added some kale to brighten it up and panna cotta for dessert. Sunday dinner - classic roast chicken with roasted veg (beet, carrot, parsnip, potato, cauliflower) with salad. Of course had to pan fry up the tasty liver and heart before dinner. I made a quinoa/black bean/corn/cilantro/onion thingy that I will now be eating for the next 5 days because there's so much of it. Luckily it's pretty darn tasty!